Not posted for a while, lots been going on. Far too much to mention. 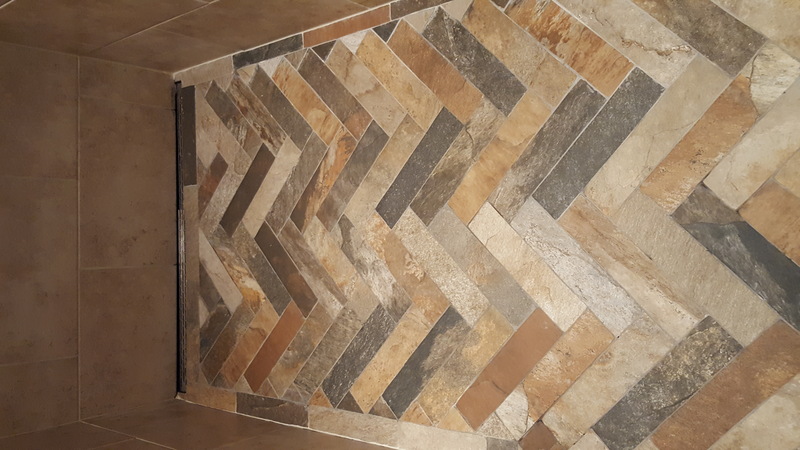 Retiled the wetroom floor with a very nice herringbone patterned procelain tile in several differing shades of grey and brown. Went OK. fairly pleased with it. 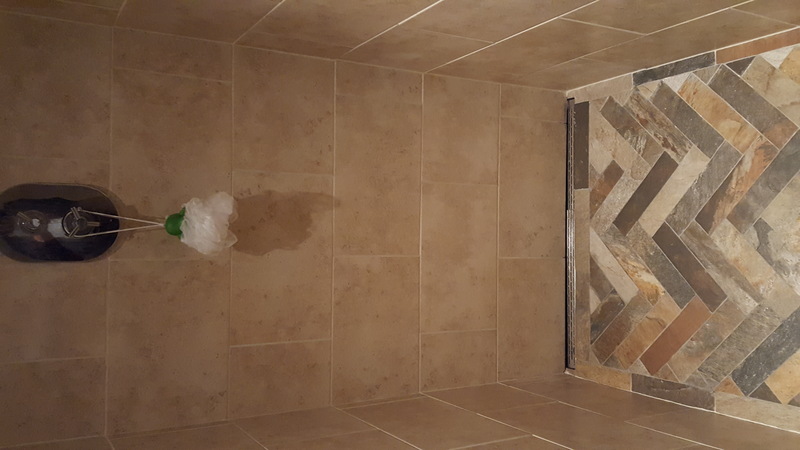 This time it was properly stuck down with a special tile to tile bonding compound used first so there is not chance that the tiles will lift again in a couple of years like the last ones did. Only slightly and only on one tile but one is one too many! In addition and at the recommendation of the guru in the tile shop, County Tiles Salisbury, I also used a flexible cement based adhesive just to add a further layer of certainty. Unfortunately as the 1.5 bar pump that gets the shower up and going had seized up due to not being run for a couple of weeks. I ordered a recon kit consisting of replacement ceramic bearings and water seals but as I couldn’t be bothered to wait for it to be delivered I fitted a new Salamander pump in the meantime. So at least I have a spare on the box in the garage. May use this elsewhere in the house. Also finally got round to smoothing out a pipe bend in the loft. I put in a new set of pipes to the bathroom a few years ago asn as I was being a bit lazy I used grey plastic push fit. Nothing wrong with this but I did put too much of an up hill bend in when I did it. This made the flow to the bath and the cold tap in the bathroom a bit weedy. So I cut and remade the paipes in a proper flat configuration. Flow is still pathetic, not sure why but at least it not blowing air out for the first 30 seconds when you turn the tap on. Also got a new telly. Sort of… it belonged to a mate at work whos little cherub of a daughter thought she would gounge a trench across it witha USB stick….. daddy was not best pleased and had the telly replaced under insurance. He asked if I wanted the old one for my garage. Bit of a result I though, free 55″ UHD curved 4K telly in the man cave… Got the thing home, cant see anything wrong with it, even the wife can’t see the scratch unless she’s about five thou’ away from the screen. Far too good for the garage, so its gone up in the front room in place of the meagre 42 incher we had there. Only slight issue was that I had to move the two satellite speakers another 6″ away towards the walls as they would have been covered by the new telly. 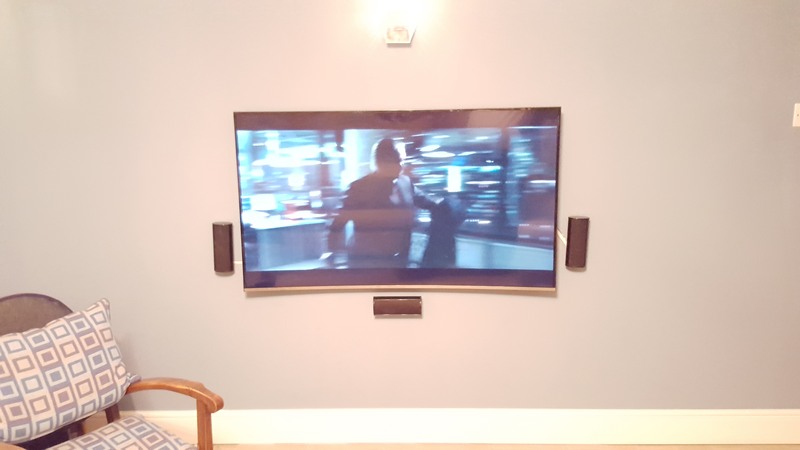 Had to chisel out more of the walls and also had to run and extend the HDMI cable as the connector block on the new telly is around the other side so the existing cables would not reach. Bunged my mate a couple of bob for his trouble, as you do…. Short week at work as we don’t work every other Friday. So we’re going to York over the weekend. Drive up Saturday AM, going to do the York railway museum on the Saturday and then the Dolls house fair at the racecourse on the Sunday. My neice is at York University so we’ll pop in and spend some time with her on the Sunday as well. Monday may go to the excellent aviation museum at Elvington before heading home. No motor racing this weekend. Just about to spend a hideous amount of money on getting all the driveway, patios and walling done. Also going to be buying a new oil tank and resiting it up the garden away from the house. Not where we want it but we can’t have it any closer due to the new oil storage regulations. So we’re going to have a concrete plinth put in halfway up on the left hand side obscured by the bushes then at the same time get a new pipe run under the new patio area down to the house and up into the back of the utility room. Probably going to fit a ‘tiger loop’ and a flame arrestor at the same time. Might also get some real time monitoring on the tank levels.